English Heritage has opened five recreated Neolithic houses, in the shadow of Stonehenge. 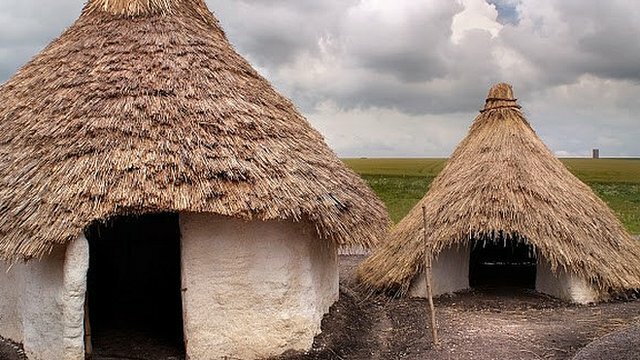 English Heritage has opened five recreated Neolithic houses, in the shadow of Stonehenge, revealing how the builders of the monument lived 4,500 years ago. At first glance, we could be forgiven for thinking they were built in the modern age. Certainly, their building techniques are very similar to those used on Victorian cottages in nearby Wiltshire villages. The walls were made from cob, a mixture of the local chalk and hay, slapped, when wet, onto seven-year-old hazel stakes. These walls were then topped with thatched roofs, made from knotted straw tied onto a woven hazel frame. Far from being dark, little Hobbit spaces, the interiors are surprisingly bright, illuminated by the white chalk walls and floors, and open door. A tall man can easily stand up straight inside. In the middle of the room, the ash-log fire on the hearth sends up smoke, which seeps through the thatch. As the smoke slowly dissipates, it creates a thin carbon dioxide layer against the straw that stops any spark from the fire igniting the thatch. As if that weren’t ingenious enough, the thatch expands in the rain, providing an even more waterproof membrane. The houses are pretty small – around 5m across – but they were certainly big enough to hold a family: English Heritage has managed to fit in 15 people easily into a single house, gathered around the fire. It wasn’t just the architecture that was astonishingly avant-garde. Furniture in 2,500 BC, when Stonehenge and these cottages were thought to have been built, was pretty advanced too. Neolithic man slept on animal skins on wooden beds, with cupboards and shelves carefully inserted into the wall. In the house and outside the front door, there were handy pits, filled with handsome, striped pottery, known as “grooved ware”, the first pottery in Britain with a flat base. The pits also contained a selection of flints and animal bones, carved to create every conceivable mod con. Near Stonehenge, archaeologists have found chalk axes, bone tweezers, flint awls for piercing holes in bone and leather, flint saws and flint “fabricators” to create sparks for igniting fires. Constructed over five months by 60 English Heritage volunteers, the buildings were closely based on the remains of Neolithic houses discovered in 2006 and 2007 at Durrington Walls, a ceremonial earthwork enclosure just north-east of Stonehenge. Radiocarbon dating has placed that settlement at about the same time that the mammoth sarsen stones from north Wiltshire, and the smaller bluestones from south Wales, were being raised at Stonehenge. So they’re among the earliest houses ever found in Britain. Just like those nearby Wiltshire villages today, Durrington Walls consisted of a series of these cottages – and there may be 100s more, yet to be found – clustered closely together, but separated by woven wooden fences. Again like lots of modern villages, Durrington Walls was built next to the River Avon – a crucial water source, home not just to trout and salmon, but to beavers and otters, much prized for their fur. Edible plants grew in the nearby damp soil, and red deer came to drink at the water’s edge. Deer antlers were used both as pickaxes and rakes to build the ditch and banks that circle Stonehenge. One red deer antler pick was found, laid carefully right on the floor of the ditch, perhaps to celebrate the end of the work. The Flintstone diet wasn’t so different to ours, either: surviving cow and pig bones, some of them still with butchering marks on them, reveal a meat-rich diet, although there’s little trace of any cereal grain. Already at this early stage, there are plenty of signs of human migration by water, too. The Amesbury Archer – whose burial was discovered in 2002, 5km east of Stonehenge – was born in the Alps, probably in what is now Switzerland. His origins were found thanks to chemical analysis of his teeth. The Amesbury Archer is thought to have been buried in 2,400 BC, a century after Stonehenge was built. His body was surrounded by a glittering array of treasures: three copper knives, 16 flint arrowheads and a pair of gold hair ornaments, the earliest gold found in Britain. He was also buried with two archers’ stone wrist-protectors, which gave him his moniker. Alongside him, there were five delicately-carved and shaped Beaker pots, which gave their name to the neolithic Beaker culture, which spread right across western Europe, from present-day Holland to Spain, France and Germany. The more archaeological research is made into Stonehenge man, the more evidence emerges that Britain wasn’t some remote backwater in the Neolithic Age, waiting for the Romans to provide it with the basics of civilised life. In the new Stonehenge visitors’ centre, hidden in a fold of Salisbury Plain close to the stones, there stands the skeleton of another early Neolithic Briton – whose recent bone analysis reveals quite how advanced this supposedly primitive civilisation was. The skeleton – excavated from a long barrow at Winterbourne Stoke, 3km west of Stonehenge – belonged to a man active in 3,000 BC, when the first earthwork enclosure at Stonehenge was built. Examining the enamel in his teeth – and the levels of strontium and oxygen, elements which vary in quantity from location to location – archaeologists have determined that he was probably born in Wales, moved to Wiltshire at two, went back to Wales at nine, and then shuttled between Stonehenge and Wales from 11 to 15. These regular journeys might explain the Welsh bluestones at Stonehenge – they were religious and sentimental reminders of the old country. This Neolithic man wasn’t so different from us. He was 1.72m, only 25mm shorter than the average British male today. He was 76kg, and lived off a classic West Country diet of dairy products and meat – mostly beef, mutton and venison. Dr Simon Mays, the English Heritage scientist who carried out the bone analysis, determined that he’d led a peaceful life, with no injuries apart from a damaged knee ligament and a torn back thigh muscle. There was no sign of any illness, disease or nutritional stress in the body. He seems to have died in his late 20s or 30s. Life expectancy was a lot shorter, then, but what’s clear is that the great British obsession – class – was already alive and well 5,500 years ago. Our man was buried in one of the area’s grandest mausolea – and was initially the only body there, until he was joined around a thousand years later by other bodies in less prominent spots in the 82m-long grave. There are around 350 of these long barrows in Britain. Half of them had no one buried in them at all; another quarter had five to 15 people in them; and only a quarter were allotted to a single person. So we are dealing with a major toff here, moving between his various smart residences in Wales and Wiltshire. A second home for the rich is nothing new. The Durrington Walls houses may also help unlock one of the great secrets of mankind -–what was Stonehenge actually for? No one can be definitively sure but one of the most popular current theories is that it was a sort of holy cemetery. Its circles of cold stone, with cremated human bones all around, have been called “the land of the dead”. This is contrasted with “the land of the living” – with the timber houses of Durrington Walls, next door to another circular monument, Woodhenge, also built out of timber. Just walking around the Neolithic houses, we begin to see why this part of the West Country is so rich in Neolithic and Bronze Age finds. Not only is the open, rolling country so well-suited to farming – as it still is today – but also it’s purpose-built for house construction. As visitors stroll around Stonehenge, they still kick up great lumps of chalk, studded with fragments of flint – the same chalk that built those ancient houses, the same flint that lit those long-extinguished ash fires. Suddenly, the Stone Age doesn’t seem so far away. 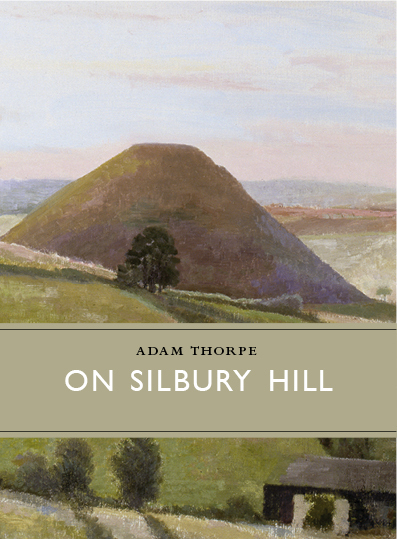 If you’ve always fancied learning more about the Avebury landscape and are free next Wednesday you’re in luck. 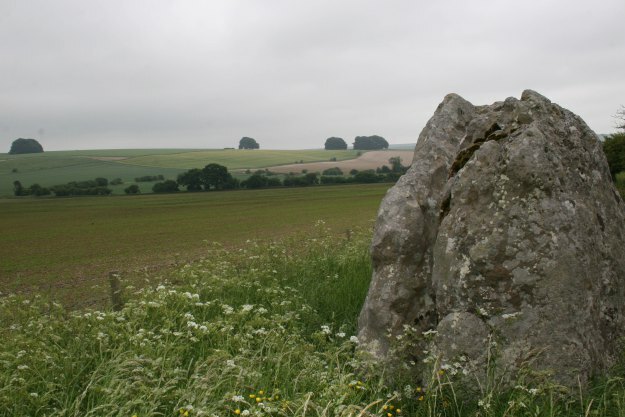 There are just a few places left on my all day Discover Avebury! walk. Our journey will take us from the Neolithic to the present day. Along the way we’ll wend our way through the world’s largest prehistoric stone circle and the West Kennet Avenue, explore West Kennet Long Barrow and discover the secrets of Saxon and Medieval Avebury.